The former House speaker also said he believes Trump promised first lady Melania Trump that he would not win the White House. 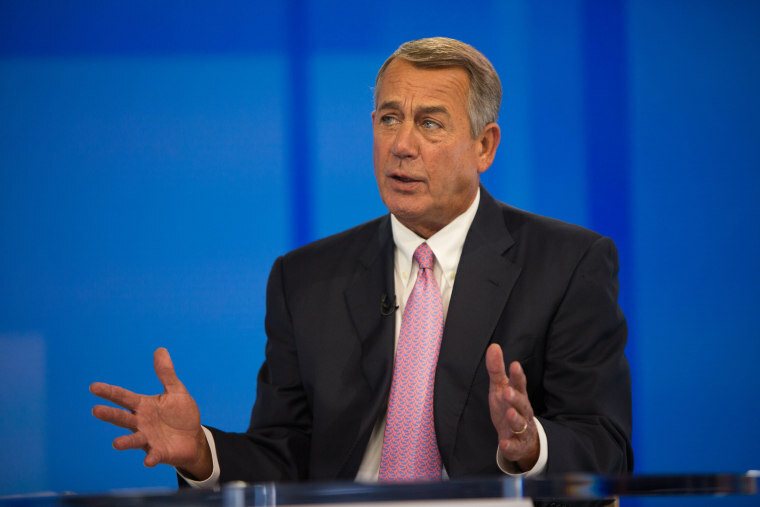 "Donald Trump, who I know well, was one of my supporters, when I was speaker," Boehner recalled. "I was having a rough week, Trump would call me, pat me on the back, cheer me up, played a lot of golf together. But president? Really? I never quite saw this." "I think Donald Trump promised Melania that he would not win. She didn’t have to worry about ever living in the White House. It’s probably why she doesn't look real happy every day. But, well, maybe one reason," he said. He abruptly resigned from office in 2015 after facing pressure from a caucus of hard-right GOP House members who threatened a government shutdown over a bill that would have provided funding for Planned Parenthood. Since leaving office, Boehner has not shied away from criticizing his former GOP colleagues, calling Sen. Ted Cruz of Texas “Lucifer in the flesh”; Rep. Jim Jordan of Ohio a "legislative terrorist"; and former Rep. Jason Chaffetz of Utah a "total phony." He also railed against the efforts by Republicans to defund Obamacare, even if it meant shutting down the government. He also said he does not regret retiring. “I wake up every day, drink my morning coffee and say, 'hallelujah, hallelujah, hallelujah,'” he said.